kt literary » Blog Archive » Happy Book Birthday to Amy Spalding! 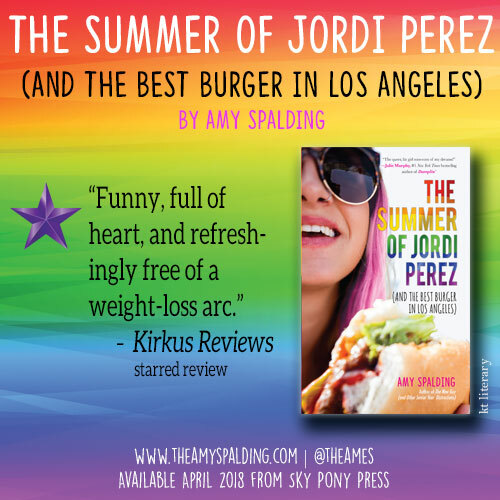 It’s a big book birthday today, with another fantastic book being released — THE SUMMER OF JORDI PEREZ (AND THE BEST BURGER IN LOS ANGELES) by Amy Spalding! But really, nothing this summer is going as planned. 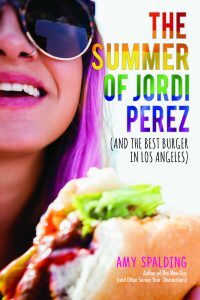 She also unwittingly becomes friends with Jax, a lacrosseplaying bro-type who wants her help finding the best burger in Los Angeles, and she’s struggling to prove to her mother–the city’s celebrity health nut–that she’s perfectly content with who she is. Working at her favorite boutique and falling in love, a girl enjoys a lush Los Angeles summer—until things become complicated. Pink-haired Abby Ives, age 17, has landed an internship at Lemonberry, a small store that includes plus-sizes in its snazzy, creative clothing designs. Abby runs her own plus-size fashion blog and is serious about a career in the industry, but her personal life is in less good shape: She’s never kissed a girl and worries she never will. Along comes Jordi Perez, photographer and unexpected co-intern at Lemonberry, who falls hard for Abby’s adorably awkward, chatty, gorgeous self. Their blissfully heady romance is a balm to Abby’s insecurities about being fat. Her mom, a food blogger who substitutes mashed cauliflower for hamburger buns and nutritional yeast for cheese, believes she needs to lose weight if she wants to lead a happy life and be pretty—but Abby has already achieved both. Yet issues of privacy and consent (photographic, not sexual) threaten this love story. 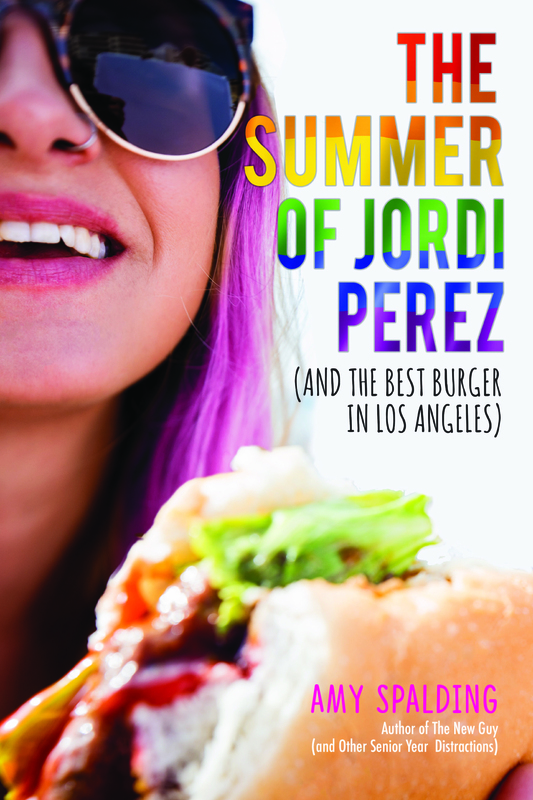 Title notwithstanding, a subplot involving a food app and a hamburger quest offers little to chew on, but fans of colorful fashion and romance will be well-satisfied. Abby is white; Jordi is Mexican-American. Funny, full of heart, and refreshingly free of a weight-loss arc. JORDI also received stellar blurbs from Julie Murphy, Robin Talley, and Gretchen McNeil, as well as lovely reviews from VOYA, SLJ, and more! I’m so excited that this amazingly funny lesbian rom-com is now available. Pick up a copy today at your favorite local bookstore, Barnes & Noble, Amazon, or wherever you buy your books! And send Amy some book birthday love on Twitter. ← Happy Book Birthday to Maggie Wells!